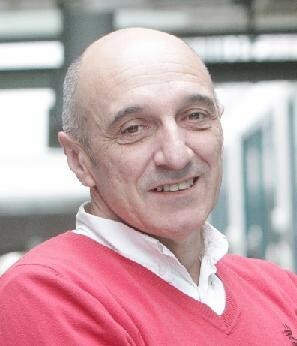 Dr. Humberto Bustince is full professor of Computer Science and Artificial Intelligence at the Public University of Navarra since 2011 and Honorary Professor at the University of Nottingham since 2017. He has authored more than 250 works in Web of Science, including more than 130 papers in journals of the first quartile of JCR. He has been cited more than 10.000 times in Google Scholar and more than 6.000 times in Scopus. He got the award to the best paper published in the IEEE Transactions on Fuzzy Systems journal in the year 2013. He has been the main researcher in around 20 projects with both public and private funding. He is Associate Editor of the journals IEEE Transactions on Fuzzy Systems, Information Fusion and Fuzzy Sets and Systems, among others, and he is editor in chief of the journals Axioms and Mathware&Soft Computing Online magazine. Fellow of the International Fuzzy Systems Association and Senior Member of the IEEE Society, he has also received in 2017 the Cross of Carlos III El Noble of Navarra, which is the highest civil recognition awarded by the Government of Navarra.